Hamilton May presents a large one bedroom apartment located on the third floor of a tenement building in the heart of Kazimierz on ul Bożego Ciała. 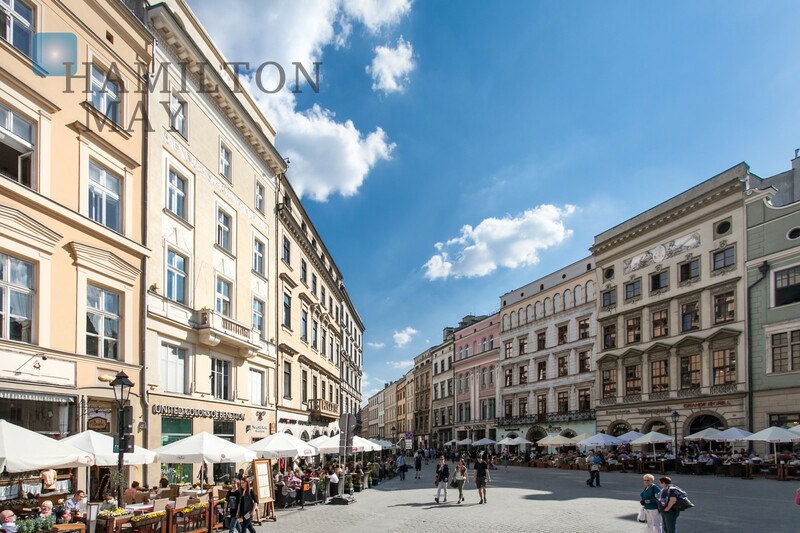 Hamilton May specializes in high quality city centre property and is pleased to offer a selection of up to date apartments for sale in Krakow’s old town and city centre area, conveniently presented here in one list of properties. The sales market in Old Town, Krakow Sales prices of apartments in Krakow’s old town (in Polish, ‘Stare Miasto’) are, not surprisingly, some of the most expensive in the city, with the area offering some of the most attractive residential streets located within a short walk from Krakow main market square (in Polish, ‘Rynek’) Apartments for sale in Krakow old town are in relatively short supply because of the geographical restrictions of the area and also because of the difficulty for developers in obtaining building permissions. Empty apartment buildings or plots are hard to come by and for that reason, competitively priced offers will normally generate strong interest from potential buyers. Prices of apartments for sale in Krakow’s old town still vary significantly because of the variety in quality of the stock. Please view our current listings of high standard apartments listed on this page which will provide a good indication of the current price per m2 in the Stare Miasto region. Property in the Old Town Real estate in Krakow Old town is characterized by old Kamienica or town house style buildings of varying state of repair. New build property is as dispersed within the old town although it is less common and more in demand when available because of the lack of supply. Within the old city walls, where cars are restricted, the usage of property is mainly for commercial purposes, such as hotels, shops, restaurants and offices. Although there are also a number of residential apartments located right in the centre of the city, most people who want to be in the city centre prefer to live just outside of the old city walls which is more suited to residential purposes. As you move further from the main market square residential property becomes more widespread and indeed the section of Krakow old town between the Planty and Aleja Pokoju contains some leafy and highly desirable residential streets. Because of the history nature of Krakow old town (stare miasto), parking is relatively limited and a significant premium is associated with any property with parking, particularly when it is secure or in underground garages, so availability of a garage should be taken into consideration if you wish to purchase an apartment with parking.